SAN FRANCISCO AND BASEL, SWITZERLAND – (December 12, 2018) – Hyperledger, an open source collaborative effort created to advance cross-industry blockchain technologies, today announced Alibaba Cloud, Citi, Deutsche Telekom, we.trade and 12 more organizations have joined the project. This news came during day one of the inaugural Hyperledger Global Forum in Basel, Switzerland. 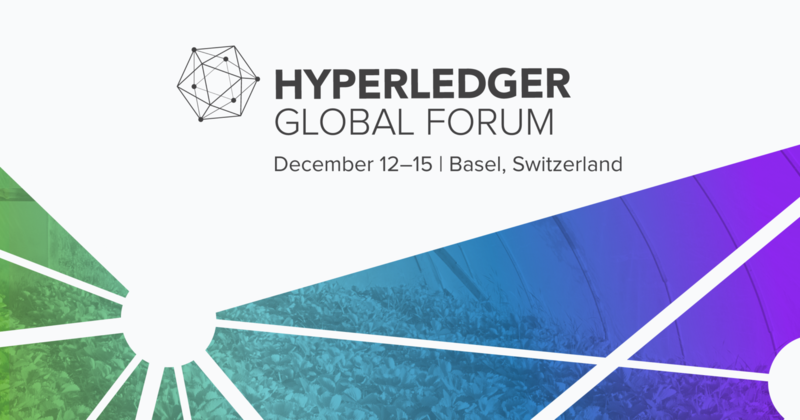 SAN FRANCISCO AND BASEL, SWITZERLAND – (December 12, 2018) – Hyperledger, an open source collaborative effort created to advance cross-industry blockchain technologies, today kicked off the first day of its Hyperledger Global Forum. 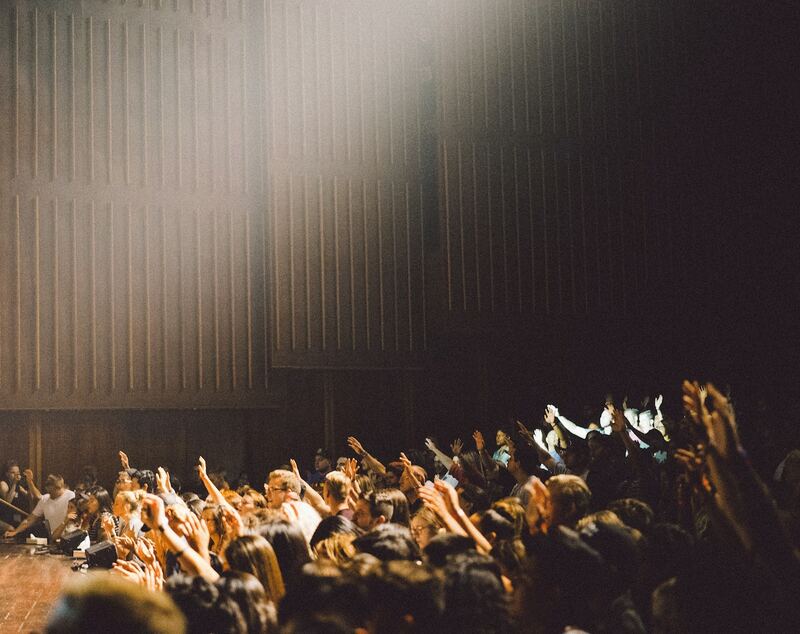 The event has drawn more than 650 attendees from as far as Australia and Argentina for an extended conversation about the state of open source enterprise blockchain and vision for the Hyperledger community and technologies. 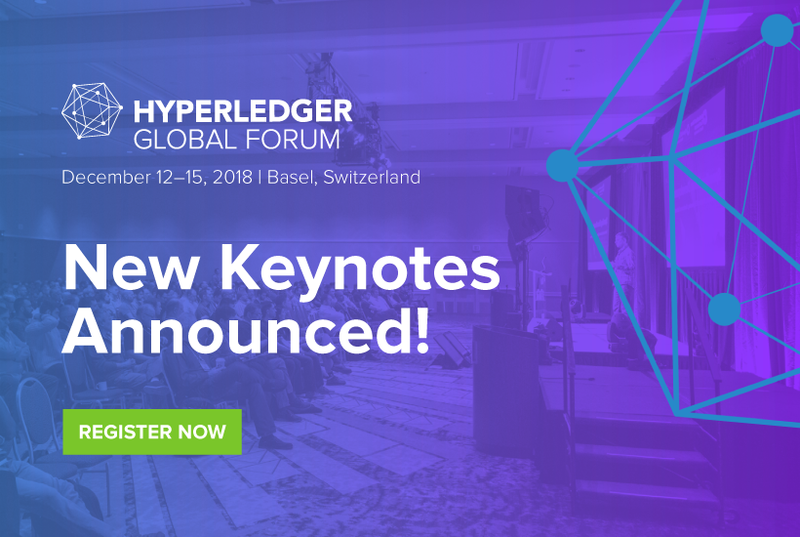 Headlined by keynotes like Leanne Kemp, CEO of Everledger, Hyperledger Global Forum addresses a wide range of business and technical topics. Key topics include use cases, production blockchain deployments and live demos of Hyperledger in a range of new systems. Hands-on workshops and technical talks will serve as fuel for the community development at the core of Hyperledger. 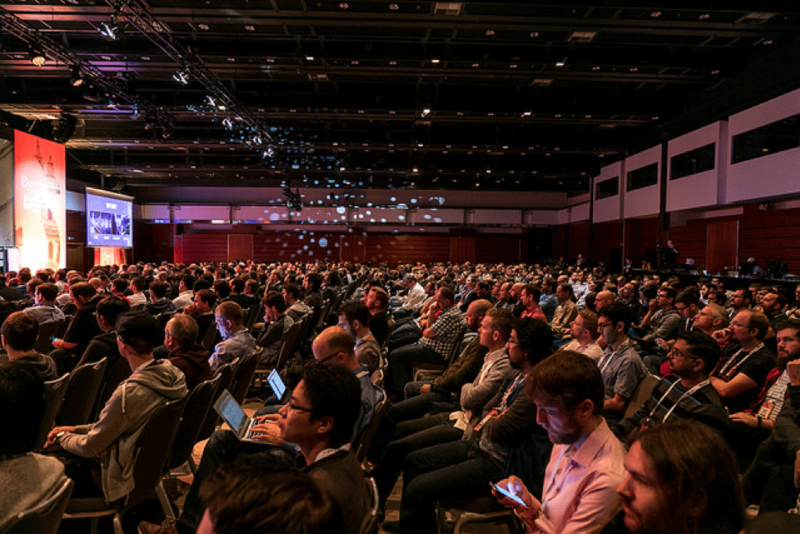 For Hyperledger, a project of The Linux Foundation that started less than three years ago, the event is a time to reflect on milestones. Hyperledger has surpassed 260 members, with more than a dozen new members including Citi and Alibaba Cloud announced today. In the last year, Hyperledger launched its 11th project, Ursa, and released development updates to the Hyperledger Burrow, Hyperledger Fabric and Sawtooth frameworks. Additionally, Hyperledger and the Enterprise Ethereum Alliance jointly announced membership in each other’s communities as a way to further bolster enterprise blockchain adoption. AAIS (American Association of Insurance Services) – the only national not-for-profit insurance advisory organization, launched a pilot of openIDL (open Insurance Data Link) to transform insurance regulatory reporting on the IBM Blockchain Platform, which is powered by Hyperledger Fabric. Bitmark – announced the Bitmark Health App to help institutions and researchers crowdsource health data and track the chain-of-consent from individuals for its use. By pairing the Bitmark blockchain with Hyperledger Indy, the app enables the secure, verified digital identification of health companies and institutions—such as medical research, trial matching, university labs, big pharma—while still maintaining the privacy of, and chain-of-consent from, each patient. 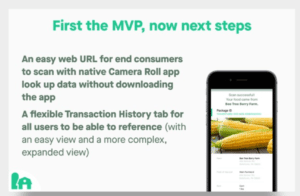 Learn more: https://bitmark.com/products/bitmark-health. Blockchain Technology Partners – recently launched Sextant™, its powerful blockchain management platform, on Amazon Web Services (AWS) Marketplace for Containers at AWS re:Invent. Sextant utilizes a carefully curated Hyperledger Sawtooth distribution – built, tested and maintained by BTP – to deliver one-click deployment of enterprise-grade Sawtooth networks. Sextant is cloud-first, and Kubernetes is the logical choice for production-grade orchestration. Under the covers Sextant automatically generates Kubernetes manifests so that Sawtooth can either be deployed on existing Kubernetes clusters or on brand new ones deployed by Sextant on AWS using Kubernetes Operations. BTP’s announcement can be found here. Blockdaemon – just announced Kinetic Ledger, which provides a tamper-evident seal cryptographically for users’ data. Using flexibly permissioned channels provided by Hyperledger, Blockdaemon’s new offering is in private beta testing using Fabric to provide any number of independent, single purpose ledgers. 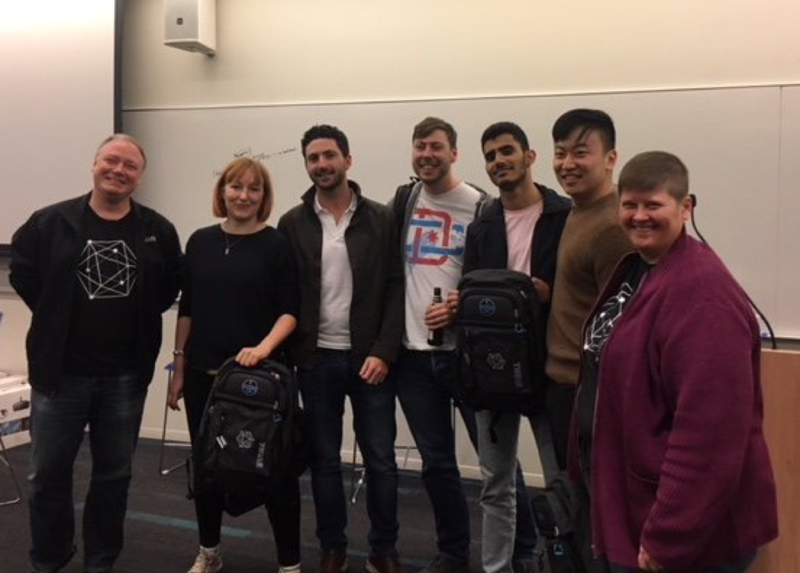 Blockdaemon became a member of the Hyperledger community in May and has been working closely with members to simplify the process of deploying nodes and creating scalable enterprise blockchain solutions. Learn more about Kinetic Ledger at kineticledger.com. DLT Labs – DLT Labs has announced DL Gateway Fabric™ a development sandbox to set up and manage a blockchain network using Hyperledger Fabric. It can help accelerate the understanding and adoption of blockchain within an organization through a powerful load balanced REST API that interacts with the blockchain. It enables enterprises to build and test scalable applications without any installation or maintenance of blockchain infrastructure. KoreConX – created its own globally-compliant Security Token Protocol, the KoreToken, which is powered by Hyperledger Fabric. The feature is now available at the all-in-one platform that has been the trademark of its services. The company also organized the first KoreSummit, an event dedicated to educating the business industry about Blockchain and Security Tokens. KrypC – developed an end-to-end production grade application in the area of BFSI, the first trade finance e-marketplace for banks. It is powered by Hyperledger Fabric and proprietary components of KrypC and enables all the banks, FIs, and treasuries to exchange information and assets with others, selectively, securely and efficiently. TradeAssets is in production with more than 15+ banks onboard. Some of the other success stories are in the area of microfinance and travel Insurance, also tokenizing the bill of lading and secured movement of cargo tokens for Maersk, which will set a new standard in an interlocking e2e supply chain. In customer trials, Oracle has demonstrated a hybrid blockchain joining OBCS and Hyperledger Fabric nodes outside of Oracle Cloud. 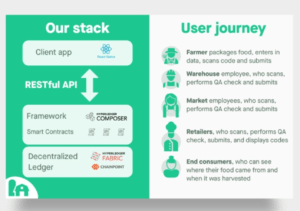 The company also announced Oracle Blockchain Application Cloud, a new suite of business-ready SaaS applications that enhance traceability and transparency throughout the supply chain. Soramitsu and NSD (Moscow Exchange Group) – Jointly launched a new product named D3Ledger, a global distributed digital depository platform based on Hyperledger Iroha. Its main objective is to provide safekeeping of digital assets for large institutional investors in collaboration with regulating partners. A pilot deal was made earlier this year when AddCapital Investment Fund moved an undisclosed amount of Ethereum inside D3ledger’s custody. D3ledger peer network consisted of three nodes for this pilot transaction: KDD (Slovenian CSD), National Settlement Depository and Lykke. A new BFT consensus – YAC – will allow D3ledger to operate at 2000tps by Q1 2019. Sovrin Foundation – announced Sovrin Network 1.6, a decentralized global public network enabling self-sovereign identity on the internet and a successful implementation of Hyperledger Indy. The Sovrin Network is designed to bring the trust, personal control and ease-of-use of analog IDs (like driver’s licenses and employee ID cards) to the internet. This 1.6 update will support the growing global use of the Sovrin Network and the adoption of self-sovereign identity. Learn more: https://sovrin.org/. Swisscom – announced a 100% Swiss infrastructure for blockchain applications along with Swiss Post. The two companies are building a simple, secure and sustainable infrastructure for blockchain applications in Switzerland and will present it to the public for the first time at Hyperledger Global Forum. They will also make the infrastructure, which is powered by Hyperledger Fabric, available to other companies for their applications. The market launch for the first pilot applications is planned for the second quarter of 2019. 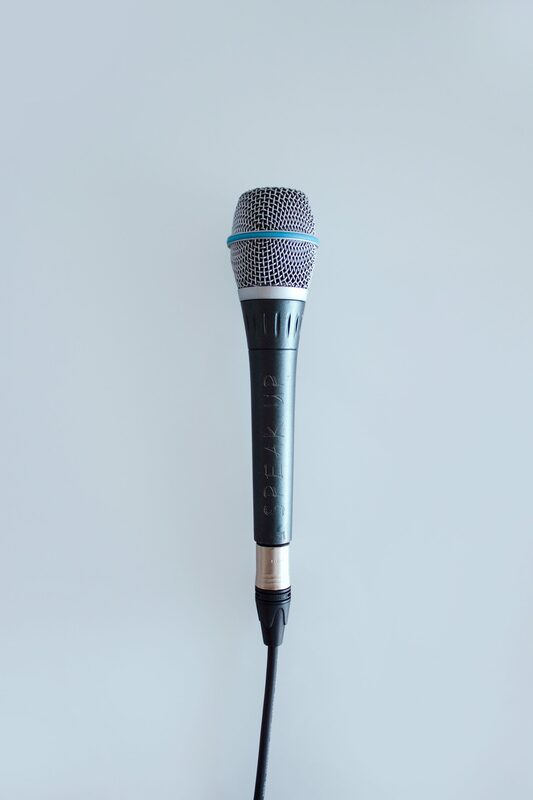 As the business blockchain community convenes in Basel in a few weeks for the first Hyperledger Global Forum, the blockchain team at Accenture would like to share three things that really excite us about this technology and market. To achieve its breakthrough potential, blockchain desperately needs more talent and more diversity. We’ve been talking about this for a long time and working hard to make blockchain a diverse and inclusive career path. If you share our passion for and commitment to this cause, please join us on the evening of December 11 for a fun and inspiring Diversity and Inclusion in Blockchain reception. Find all details and register here. Interoperability has emerged as a hot topic across the industry. 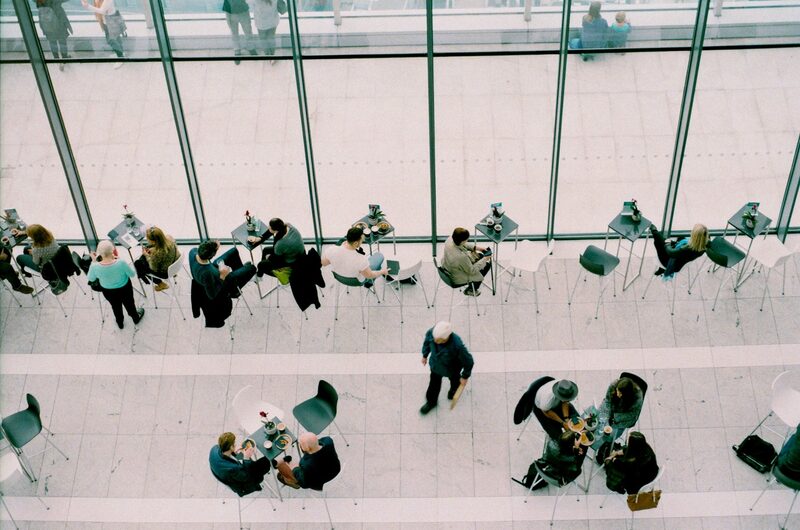 Multiple DLT platforms are gaining traction in the market and different verticals and ecosystems are gravitating towards different platforms. Concern about picking the ‘wrong system’ or looking ahead to perceived challenges to connecting blockchain-based ecosystems that may be on different platforms has been a hindrance in moving the technology forward. Accenture has developed and tested two technology solutions that enable two or more blockchain enabled ecosystems to integrate. The Accenture solutions show that blockchain platforms from Digital Asset (DA Platform) and R3 (R3 Corda) as well as Hyperledger Fabric and Quorum can integrate to securely orchestrate business processes. Accenture’s business and technical experts will be at Hyperledger Global Forum to discuss interoperability and many other topics. You will find us in our booth and giving demos in the Demo Theater. Accenture’s Dave Treat will keynote on the topic of DLT Path to Production at Scale. Dave will discuss how enterprises are pushing the boundaries of the technology and proving it can more than meet the demands. He’ll also cover technical advancements like interoperability and business models like multi-stakeholder governance. Schedule a meeting with any of our experts by sending an email to blockchain at Accenture dot com. Please specify the nature of your interest so we can try to connect you with the most appropriate member of our team. The Hyperledger community is one that is becoming more and more robust every day in terms of the number and backgrounds of developers actively contributing. At Accenture, we think that is very important and pertinent to a thriving technology ecosystem. But with being an open source project, there are challenges in knowing who is doing what exactly with the technology. There are so many interesting projects and developments under way! In fact, to further explore what can be built with Hyperledger technologies, we’ll be hosting our second Blockchain for Good hackathon on Saturday and Sunday, December 15 and 16, immediately following Hyperledger Global Forum. This year, we are focusing on Sustainable Supply Chain. Mentors and judges from Accenture, Hyperledger and leading sustainability organizations will work with hackers during this two-day sprint. The hackathon is open to in-person and online participation, but spots are limited. Find out more and register here. In conclusion, Accenture has its sights set on being the preeminent independent advisor, implementer and operator of enterprise blockchain systems. Greater diversity, breakthrough innovation, and practical solutions to global challenges like sustainable supply chain are key pillars to achieving this vision. Our team of experts will descend on Basel to roll up our sleeves and work with the entire community on these and other important topics. Take a look at the full schedule!